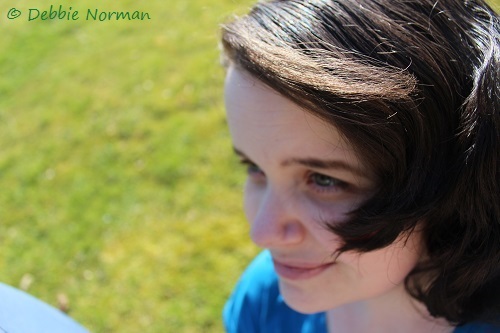 April 2013 – soaking up all the sunshine that I could, before it got too hot outdoors. In June of 2012 for MG awareness month, I wrote about my long journey to an accurate diagnosis. I didn’t want to repeat those details again this year and I really didn’t know if I had anything I wanted to say this month, from a personal stand point. And all month long, I drew a blank. Then last night as I sat here at my desk, I thought of what I wanted to say. I could tell you all of the things that MG has put my body through, put me through. Or I could tell you private things about the way that MG impacts my life, things that even most of my friends don’t know. I could tell you things that might make you upset. Might even make you think that my life isn’t worth living. But it would be just that….. ignorance. The definition of ignorance is “lack of knowledge or information”. I was ignorant of all of the things that life still holds for those with chronic illness. Life is still good. Hope is still all around me. Don’t get me wrong, I get angry and sad. I grieve my losses. And I get unbelievably frustrated sometimes. You know why? Because I’m human. And those are normal, healthy, responses to loss. And that is one of many reasons a good support group is so helpful. Everyone needs peers that can relate to them. But the key is not living in those feelings. I allow myself to feel them, then I pick myself up, and I move on. Living with MG is all about readjusting your life. And every time you think you’ve got things balanced or “figured out”, well then MG changes all the rules on you. So you have to be flexible. And that is what my “awareness” post for this year is about. I want to tell everyone, not just those with MG, but those with any issues and those who are perfectly healthy right now and might face unknown troubles at some point in the future, that life is good. Life is worth living. Even when it doesn’t turn out the way you had thought it would. When you loose something, something that you love to do, you grieve the loss. Then you find something new to love to do. It is possible to find beauty and joy in the tiniest of things, if you take the time to do so. I used to be able to walk off of the mountain that I live on, multiple times a day. Up and down, up and down, for any number of reasons. Now I can’t. 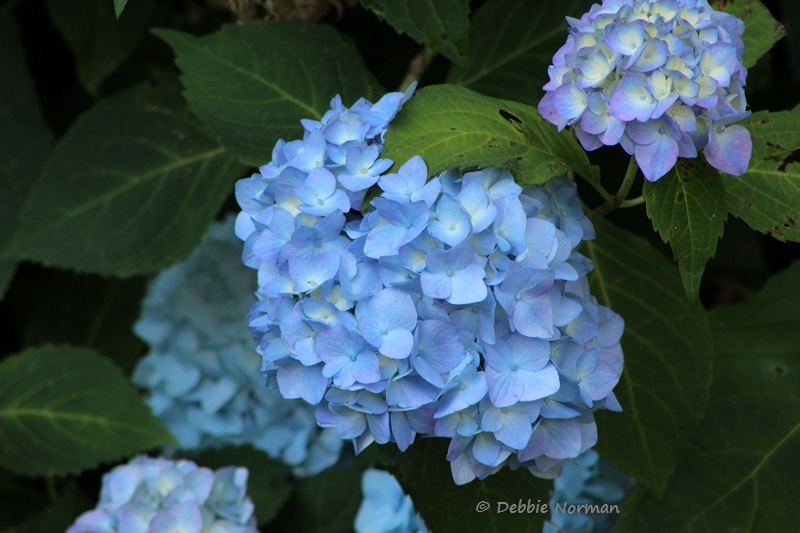 So when I get down there, instead of blowing past the hydrangea thinking “oh that’s pretty”. Now I stop, I notice all the lovely details, because I can’t walk by too fast. I can’t run my children to 500 different events and activities. And because of that, we are closer than any family I know. We talk, about real things, more than any family I know. This is quality time. Quality time that I might not have had if my body was busy rushing around, doing something else. I have three children. They are 10, 9, and almost 4. My almost 4-year-old daughter has autism. Because of our struggles, we have learned the value of family and teamwork even better than we could ever have before. Because of MG, I have made wonderful friends that I would have never had. 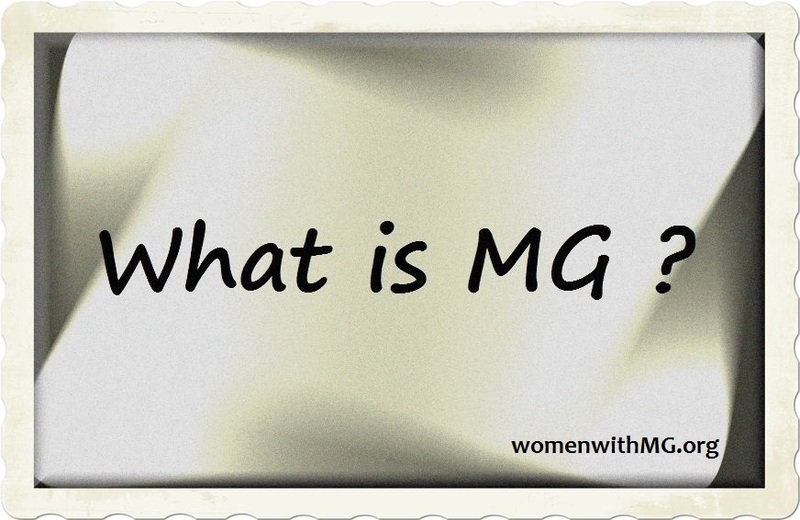 There are many good support groups, and groups that focus on specific aspects of life with MG. I founded Women with Myasthenia Gravis (WWMG) so that women could have a place to share their struggles with other women, going through the same things. I know men, women, children with MG and their family members, that I now call friends. I am honored to know these courageous souls that get up everyday, not knowing what their day will be like – yet they go on anyway and make the best of each day. They are such a blessing in my life. People I would have never met, had it not been for MG.
I’m not trying to say that MG is a blessing. MG is a very serious, life-threatening struggle and it isn’t fun at all. But you can find the blessings in any situation. You can work the negative that has come against you, and find the positives. But the key is, you must look for them. They won’t be handed to you on a shiny platter. It requires effort. Today, the last day of MG Awareness month 2013, I would like to encourage you – whoever you are, and whatever your health, or situation – to take a moment. If you can tolerate the heat: stand in the sun, stretch, take a deep breath and just *be*. Just for a moment. Think of all of the good things in your life, and be peaceful. If it is raining, stand in the rain. You won’t melt. Feel the moment. Be thankful for the rain. It waters the ground and keeps things living all around you. This week, for the first time in approximately a year, I made it to the creek nearby my house that I love. 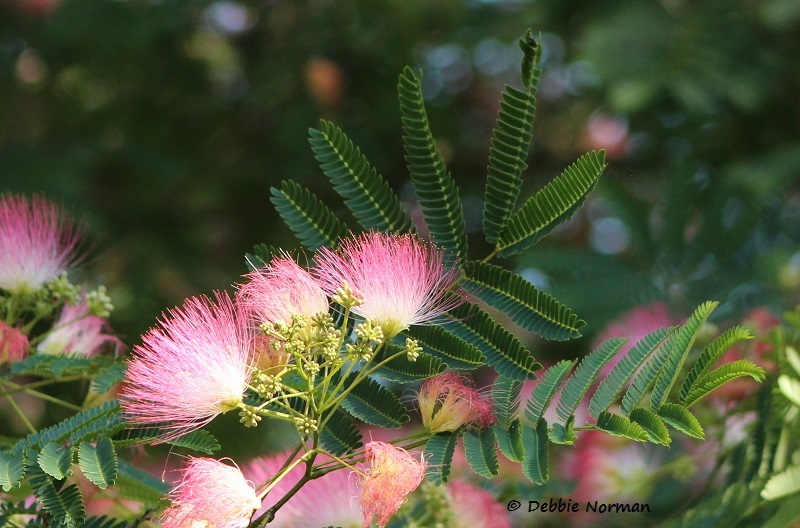 I was determined to make it to the mimosa tree that my Grandmother loved so much, while it was in bloom. I got up very early, to avoid the worst of the heat. My husband drove me down the mountain that I can no longer walk. He asked me if I thought we should take my wheelchair, or my rollator. I said, No. I thought I could manage. the tree in bloom – June 25th, 2013. 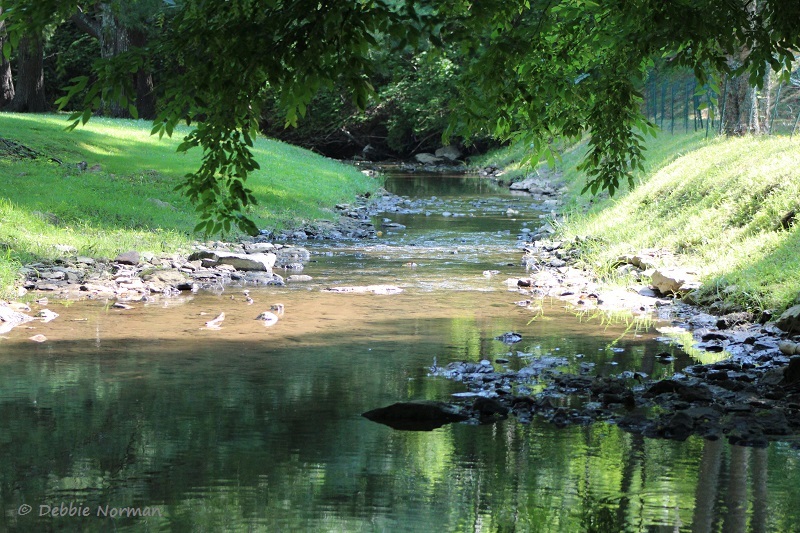 And after I visited the tree, I went to the creek that I played in nearly everyday as a child. I slipped my sandals off. I walked out, carefully, into the water. (MG balance issues and algae covered rocks don’t make the best combination.) And I stood there. I choose photos like this for my computer desktop background. I can look at it, then close my eyes and feel the way I felt in that relaxing moment, anytime I want. It’s a choice to be aware of all of the good things in life. It’s a choice any one of us can make. If you are like many MG warriors, and stuck inside today, forced to hide from the heat of the day – look out a window, take the best breath that your respiratory muscles will let you take, and be grateful you are still here. You still have work to do. You still have good to bring to the world. Think of all of the good things in your life, and be peaceful. Even if it’s just for a moment. I am overjoyed that i stumbled upon your blog. It has been wonderful to read and encouraging. Thanks for posting this. til 1996 and got on proper meds. In 2010 my brother got cancer and now I am his caretaker. It has been a better year with his health now, but I have gone down hill with my MG. I have been hospitalized at least twice a year, in ICU for treatments. Stress is my main problem. I have been trying to deal with it in my own personal way. It is hard, but this is life and you have to make the best of it while you can. I pray every night before I go to sleep, that tomorrow will be better. I get up every day and do something. If I don’t I just feel my pain. Everyone with MG deals with MG differently. It all depends on our bodies and life styles I guess. One day we will be able to hear the words that they have found a cure! Thanks for your post and I look forward to others post also. It helps us deal with MG. Enter your email address below to receive notification of new posts via email. Copyright © 2019 WomenWithMG.org. All Rights Reserved.